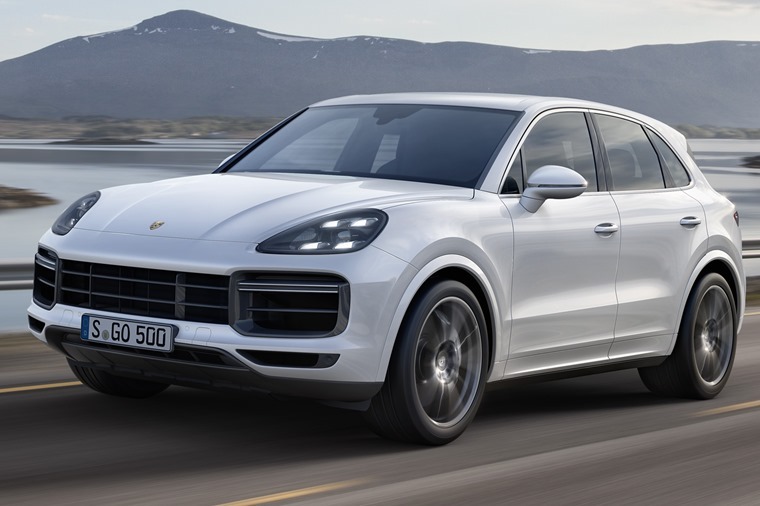 Porsche recently revealed its new and improved third generation Cayenne SUV, and has now revealed the range-topping Cayenne Turbo at Frankfurt. It gets 542bhp and a 0-62time of 3.9 seconds – making it one of the swiftest SUVs ever. The updated SUV will be up against cars like the Audi Q7 and new Range Rover Velar when it arrives next year (or the SQ7 and Bentayga in the Turbo’s case), so what’s new? Well the styling has had a comprehensive (if subtle) refresh, with the new model taking elements of Porsche’s latest cars like the smaller Macan SUV and new Panamera four-door saloon. There’s larger air intakes up front, while the updated horizontal light edges at the rear are designed to “create a wider and more athletic impression, even when stationary”. It’s also 9mm lower and 63mm longer than the outgoing car. 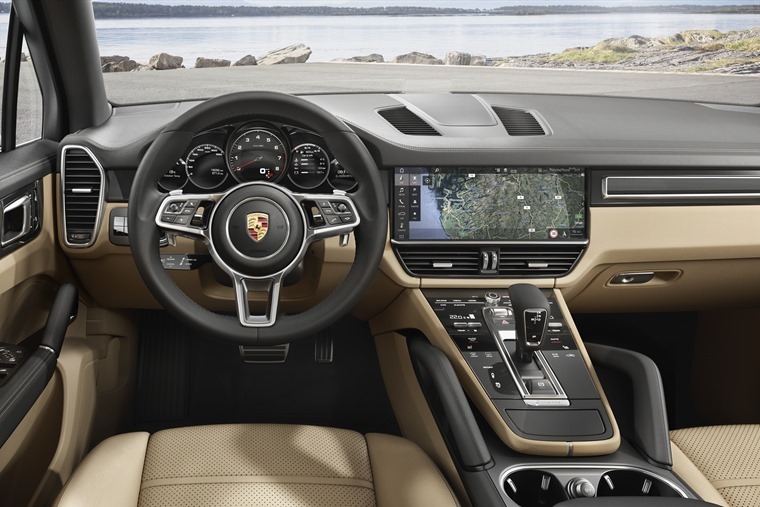 Step inside and changes are rather more comprehensive, with the dashboard now looking much more like the latest Panamera’s than the outgoing Cayenne’s. It also features the company’s latest 12.3in touchscreen infotainment system, too. In true Porsche fashion however, its styling and interior are very much evolutionary rather than a revolutionary. What really matters is what’s going on underneath, and this is where the updated Cayenne shines through the most. The car sits on Volkswagen Group’s latest MLB platform that we’ve already seen with the likes of the Q7 and Bentley Bentayga. As such it will no doubt be one of the most dynamic and engaging SUVs on the market, and is over 10kg lighter than the outgoing model. 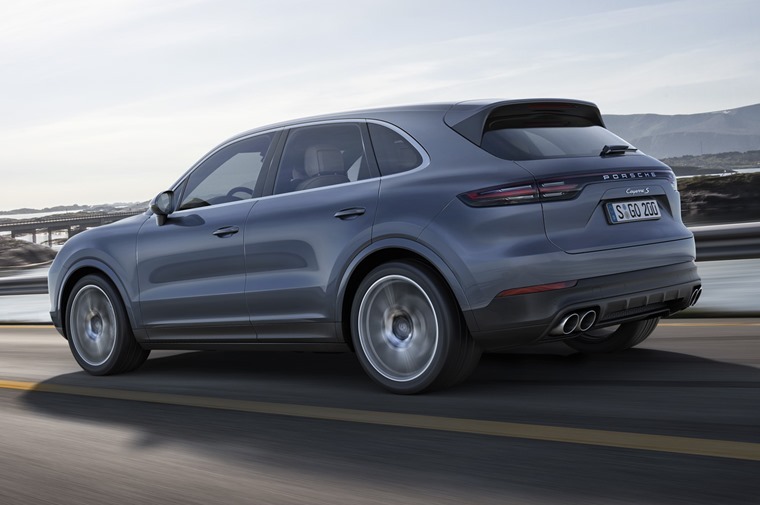 It will launch with three petrol engines – a 3.0-litre turbocharged V6 in the standard Cayenne, and an all-new 2.9-litre twin-turbocharged V6 in the sport-focused Cayenne S. The latter gets 435bhp and 550Nm, resulting in 0-62mph in 5.2 seconds and a top speed of 165 mph. 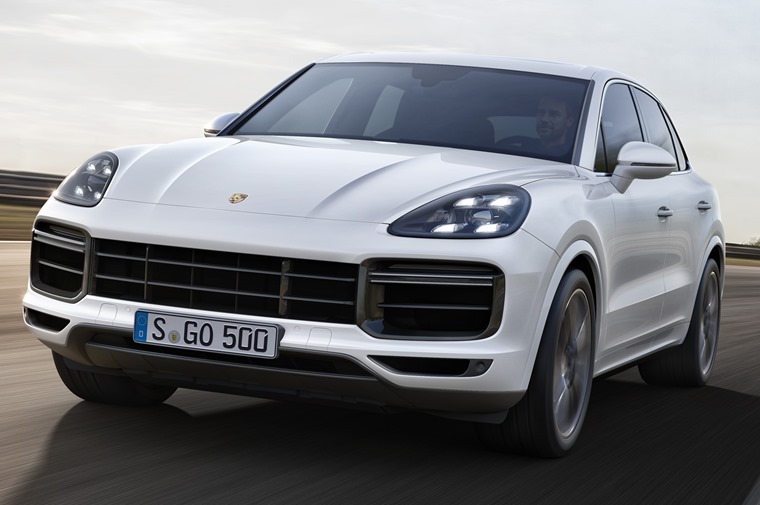 The most potent however, is badged the Cayenne Turbo (pictured above) that gets a 4.0-litre twin-turbo V8. Producing 542bhp and 770Nm of torque, it’ll hustle the huge SUV to 62mph in just 4.1 seconds – that’s almost as quick as some track-orientated 911 variants like the GT3 RS. Its performance can be further enhanced if you opt to fit a new ‘Chrono’ Pack, which reduces the 0-62mph run in 3.9 seconds. Top speed with or without Chrono is 174mph. Diesel and hybrid models are set to join the range after launch, but the new petrol Cayenne will cost from £55,965, while the Cayenne S lists from £68,330. But if you want the range-topping Cayenne Turbo, the price shoots up to £99,291. Lease rates for the new model are to be confirmed, but the first customers will get their cars in April 2018. 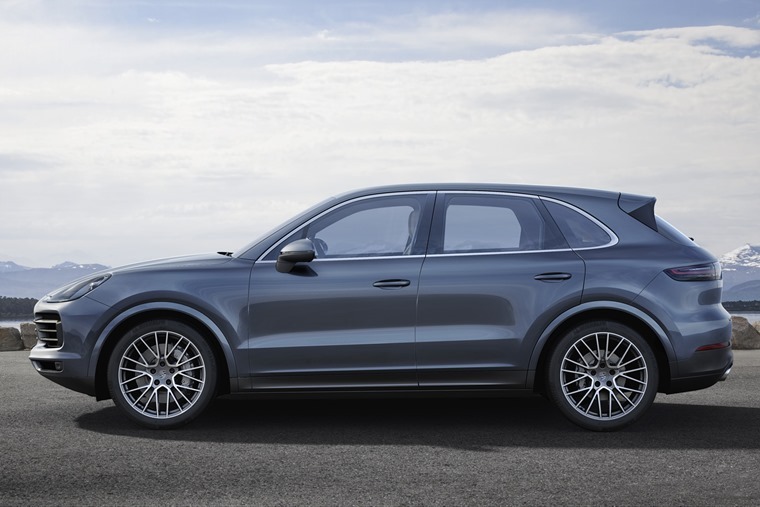 Do you like the look of the new Cayenne, or do you prefer Audi’s Q7? Let us know in the comments below.